Beautiful, vibrant illustrations and lyrical language fill this companion to Baby Bear Sees Blue. My favourite counting book from last year. Mo Willems, enough said? 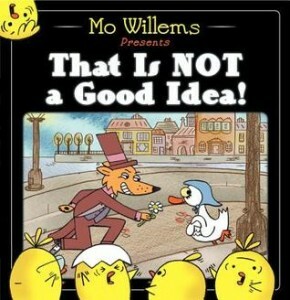 He comes through with this funny, silent movie inspired book that promotes print awareness and interaction. I love how some of the pages just have words. And the kids love to join the chicks in declaring their warning. This book got lots of good press for good reason. The illustrations are unique and eye-catching. 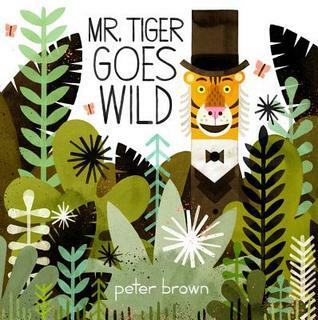 Works great in a jungle themed storytime or when you simply want to encourage individuality. 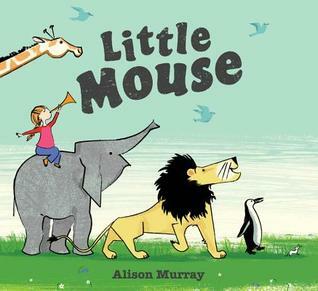 Alison Murray is my new favourite author for toddler storytime. Her books are just the perfect length and have bright, vivid images. 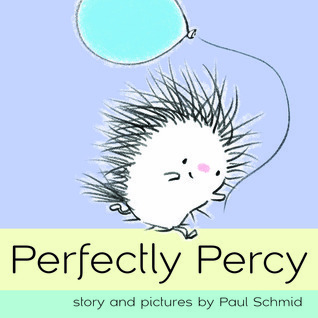 I love this book for its figurative language – a little girl compares herself to all sorts of animals using similes. Reminiscent of Press Here, this book requires audience particpation. Tap, pat, wiggle, and jiggle to help a tree change through the seasons. 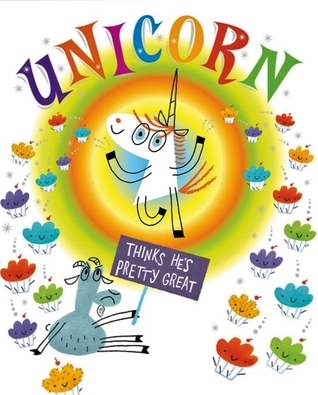 I love sharing this book at storytime because you can include an early literacy tip for parents about choosing books that are fun and engaging to promote print motivation. My boss at the West Vancouver Memorial Library, @shannonozirny, alerted me to this title on Twitter. 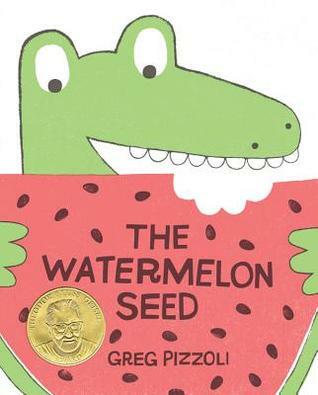 I used it in a recent alligator/crocodile storytime and the kids loved reading about what might happen when you swallow a watermelon seed. Funny and cute! 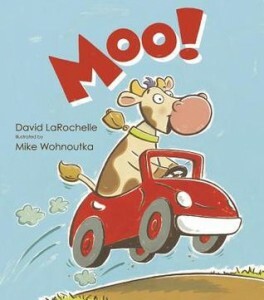 Join Cow on an exciting one-word adventure as he takes farmer’s car on a wild ride. This book encourages talking – with only the word “Moo” on each page, have the kids help you tell the story. But you should really read this AMAZING explanation of what makes it a great storytime book on Rain Makes Applesauce. I feel like unicorns are all the rage right now. In this comical story, Goat’s jealousy toward Unicorn is turned into a lovely friendship story. While it worked okay in my preschool storytime, I actually think it would be perfect for K-2. 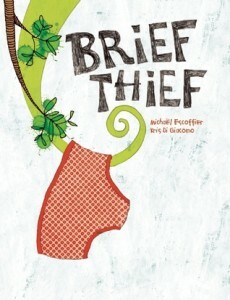 I’ve never read such a funny, suspenseful book that only uses to letters! 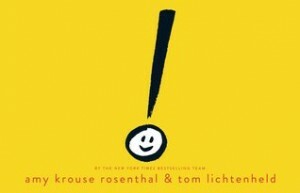 Similar to Moo!, this book really encourages storytelling and talking. I also like how it teaches kids to read with inflection and emotion to distinguish the intended meaning of the same word or phrase. This book reminds me of The Monster at the End of This Book – they both start with a warning that you are clearly supposed to disobey. 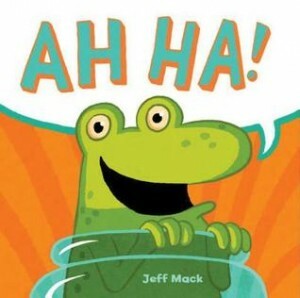 As you push the button in this book, the monster undergoes a series of changes, all giggle inducing. 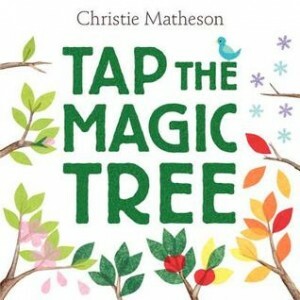 Another great interactive storytime book. An all star book for promoting the early literacy skills writing. I love sharing this book with 3-7 year olds who have just started to write on their own. There were many books last year on the theme of individuality and this was one of the best. 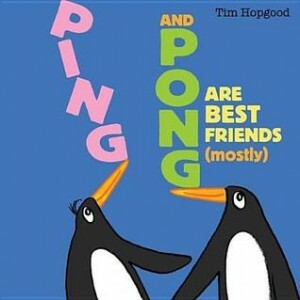 Another book chalk full of interaction and laughs. I shared this at a family storytime with kids ages 0-8 and they loved it. 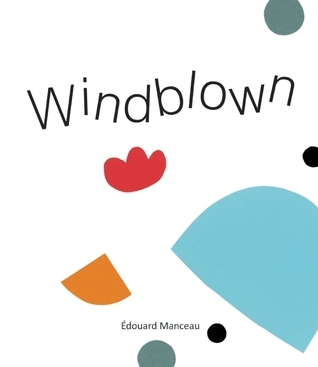 The simplicity and creativity in this book blow my mind. I actually think it is more powerful as a felt story as Anne from So Tomorrow demonstrates, but either way I give a really good early literacy tip to caregivers about the importance of learning shapes (which leads to learning letters). Excuse the pun, but this book is a hole lot of fun! 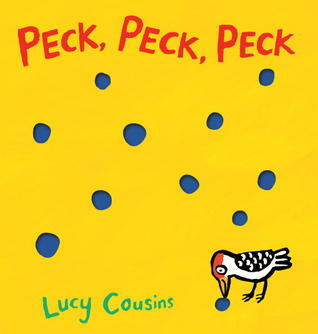 Little Woodpecker has just learned to peck and goes a bit overboard in my new favourite Lucy Cousins book. I think kids can relate to the over-joyous feeling when you learn a new skill. I know this book got a lot of good press and I think it deserved it. Because of the length, I’ve only used it in school aged storytimes, but it is just so spot on for K-2 sense of humour. 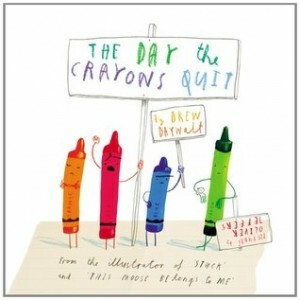 Plus you can do a fun colouring craft after you read the book. 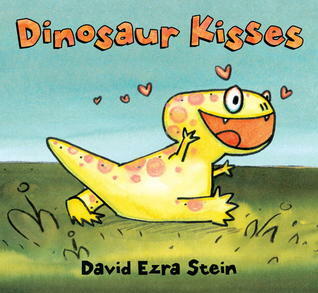 I had a parent request for more social/emotional books in storytime and this one fit the bill perfectly. 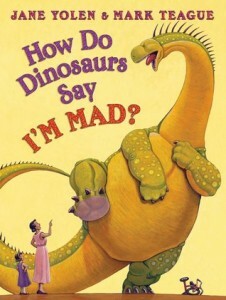 All the How Do Dinosaur books give a comical take on appropriate child behaviours. Kind of like No, David, I like how to the kids get to be the ones who say No and Yes when you read them aloud. This last one comes from Kelly at Ms. Kelly at the Library who used this book with great success during a preschool storytime about balloons. And it is one of the cutest, sweetest stories I’ve read all year! Porcupines and balloons don’t always mesh well, but little Percy thinks and thinks and thinks until he comes up with solution. 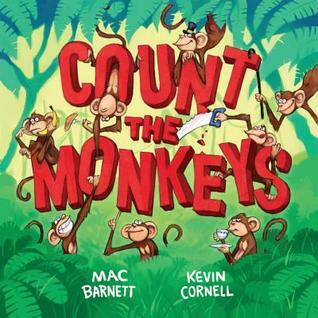 I love how this book encourages perseverance and problem solving skills. I’ll definitely be using it soon! So those were my favourites from 2013. This is by no means a comprehensive list, so please leave a comment below with your thoughts and ideas! Thank you for the shout out! 2013 was a great year for picture books! And 2014 is off to a good start so far. I’m having such a fangirl moment right now! 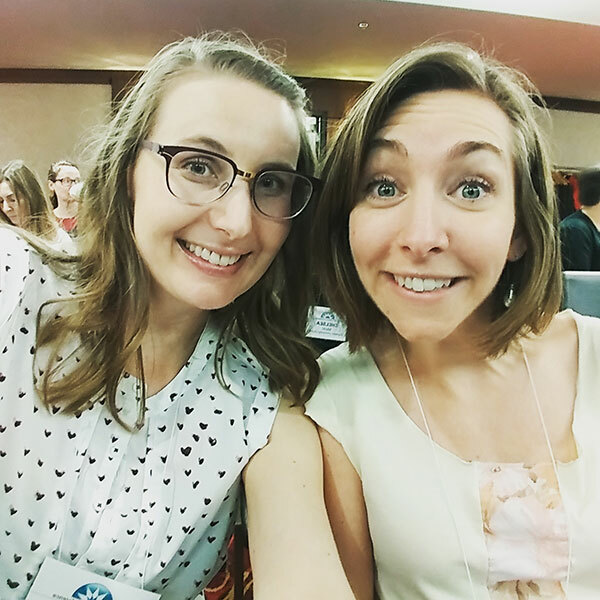 I love your blog, Erin, and see you as a blogging inspiration. Thank you for all you do! These are awesome recommendations! I recently conducted a storytime (twice: once for 2-3 y.o. and once for 4-5 y.o.) using Journey by Aaron Becker and it went really well! It’s a beautifully illustrated book. Because my little ones respond better to rhymed stories, I decided to write words to go along with each page. 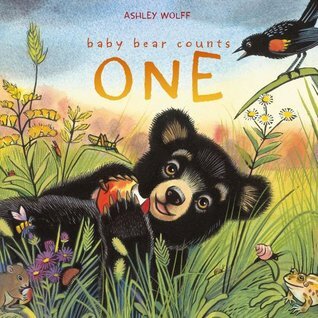 I then recorded it via itunes and played it during storytime while I showed the book (it was easier than memorizing the rhyme 🙂 The kids loved the “other voice” in the room! I decorated the room with paper lanterns and fairy lights (just a string or two is all it takes to make them happy). Right after the book, I dimmed the overhead lights and turned on the fairy lights. I then gave each child a red crayon and we pretended to go on a journey just like our protagonist. We drew a door, a boat, a balloon, a magic carpet, etc. all in the air. I highly recommend trying this one with your groups and see if they like it. I’m smitten with this book and can’t wait to read it to another group! Wow, Jen, that is absolutely amazing! 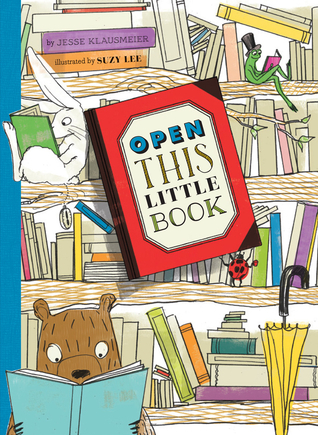 I’ve always been shy to use wordless picture books in storytime but you’ve given me so many ideas! Thanks so much for your comment. Could you share the words you’ve written for the Journey story? I love the illustrations, but I am also hesitant to use a wordless book in the preschool classroom. Your other interactive ideas were fantastic too! Thanks for the ideas!! 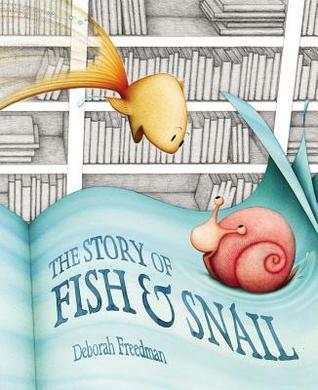 Thanks, Dana and Lindsey — I’m so happy to know Fish & Snail have joined your storytime! Thank you, Deborah, for writing such a unique book! Love it! Thanks for this great list. I especially appreciate that you describe what age groups the books work for and how you use them in storytimes. Thanks, Sally! I’m glad the annotations are helpful – I’ll be sure to do that again for 2014.